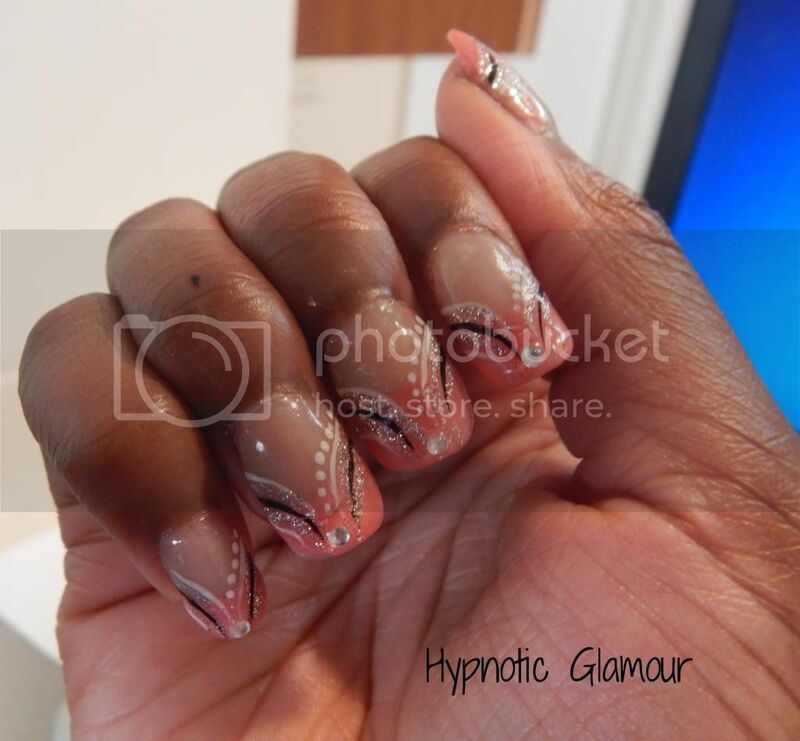 So I'm back from my hiatus and decided to debut my newest nail creation here on my blog. 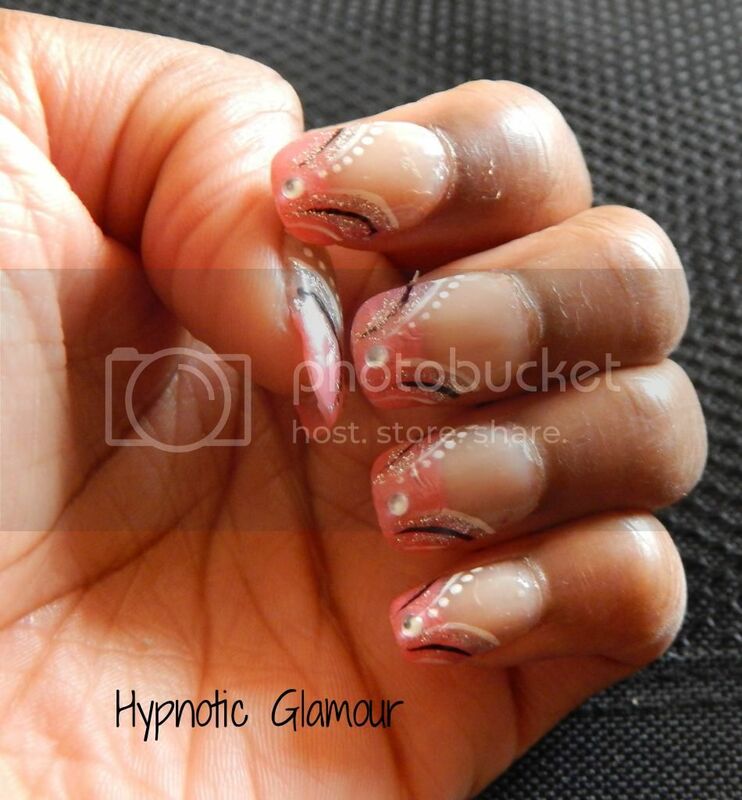 I did this set of acrylic nails last weekend. I originally had a V-day themed design but I wasn't really feeling that so I went back to my old faithful, abstract! This design is super simple to do and it didn't take me more than 30 minutes (if that to complete). L.A. 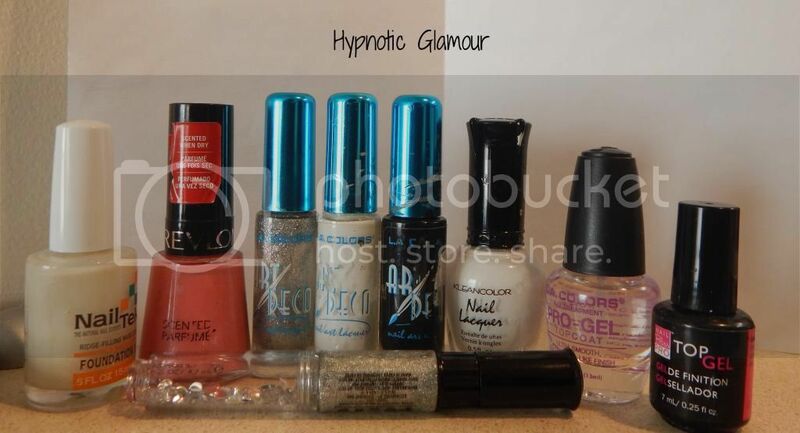 Colors Art Deco Polishes in Black, White, and Silver Glitter. Added two stripes of white along each side of the nail. I repeated this step for the silver, black, and the silver again. Used the small side of the blue dotting tool to add dots along one side of the design. Added one small rhinestone to the tip of each nail. Applied one of at L.A. Colors Pro Gel Topcoat and let dry. Applied one coat of Nail Bliss Pro Gel Topcoat and flash cured, then cured all fingers for 1 minute in LED lamp. And that's it, really easy and really simple but most of all, really cute. If you want to try this design yourself, leave a link in the comments below with your creation!